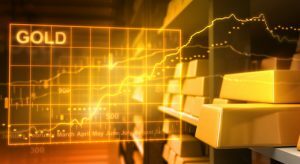 Gold futures drove their losing streak to eight sessions in a row, posted their third straight weekly decline, and settled at their lowest level in more than three months. Gold for August delivery on Friday shed $6, or 0.5%, to close at $1,216.70 an ounce on the Comex division of the New York Mercantile Exchange. The settlement was the lowest since Feb. 22 when prices ended at $1,210.10 an ounce. "A firming dollar and expectations for higher interest rates are good excuses for the current dip in gold prices," MarketWatch quoted Michael Armbruster, principal and co-founder at Altavest. Gold futures lost 2.9% this week after falling 1.6% last week and 1.7% the week before then. Prices are tracking toward a 6% monthly decline, though they are still 14.8% higher on the year. "This week, Kitco’s online survey received 790 votes. A total of 499 respondents, or 51%, said they were bullish in the week ahead, while 278, or 35%, were bearish. The neutral votes totaled 112, or 14%. Meanwhile, 20 analysts and traders took part in a survey for market professionals. The largest chunk — nine, or 45% — looked for prices to ease next week. Seven participants, or 35%, called for a rise, while four, or 20%, were neutral." Falling on Friday for the first time in three sessions, silver for July delivery shed 7.4 cents, or 0.5%, to $16.269 an ounce. The precious metal ended 1.6% lower this week — its fourth straight weekly loss, and trimmed its gain this year to 17.9%. The weekly loss marks a fourth in a row. July platinum declined $13.60, or 1.4%, to settle at $982.20 an ounce, ending 4% lower than a week earlier. Palladium for September delivery slipped $4.65, or 0.9%, to settle at $539 an ounce, for a weekly loss of 3.6%. Year to date, platinum is 10% higher while palladium is 4.1% lower. Gold declined $7.60, or 0.6%, to $1,216.25 an ounce. Silver dropped 16 cents, or 1%, to $16.30 an ounce. Platinum fell $19, or 1.9%, to $984 an ounce. Palladium gained $1, or 0.2%, to $546 an ounce. Their sharp weekly loses tallied to 3% for gold, 1.6% for silver, 4% for platinum and 3.7% for palladium. United States bullion sales logged smaller gains this week but they are soundly higher in May compared to the same month a year ago — by more than triple for American Gold Eagles and by nearly 2 million coins for American Silver Eagles. U.S. Mint sales of gold coins advanced 24,500 ounces after rising 26,000 previously. The weekly splits include 21,500 ounces in American Gold Eagles compared to 23,000 ounces previously, and 3,000 ounces in American Gold Buffalo to match the prior week. Silver coins moved up by 891,000 ounces, all from American Silver Eagles, compared to 1,025,000 ounces last week when sales included 970,000 ounces in Silver Eagles and 55,000 ounces in 2016 Cumberland Gap Five Ounce Silver Bullion Coins. The U.S. Mint restricted this week’s sales of American Silver Eagle to 1,057,500 coins. Bullion distributors ordered 84.3% of them. 2016 American Silver Eagles are running at a record sales pace with sales of 22,833,500 coins, representing a 37.8% increase over those sold through same time in record-breaking year 2015. Once again & for many different weeks recently, the Mint’s 13 worldwide bullion coin Authorized Purchasers didn’t purchase all of the ASE bullion coins offered this week. They left 15.7 percent of the $1 coins on the table unsold! Demand is definitely slowing down even as silver drops more. I wonder why? With platinum dropping significantly lately, the Mint’s 2016-W Proof Platinum Eagle $100 one oz .9995 fine coin should be very affordable when it launches next month. Platinum is now $232 per ounce lower than gold! Such a deal. I think all the metals will go lower. In my opinion, all the smart people ( including you and me) are waiting to see what the Fed will do with interest rates. Still, can’t wait for the gold quarter to be offered. I think you are correct. Silver went down again today & closed under $16 in London & gold also went down even more just barely holding onto the $1200 level. I saw the pics of the gold quarter the Mint displayed at the CSNS coin show & it looks great.! Hope the gold quarter will have a full head. I was disappointed that my gold merc dime did not have full horizontal bands on the reverse. As I stated in an earlier post my dime looks just like the mint photos. I have also noticed that all of the dimes graded SP 70 show mostly flat bands. Still no word on what the mint will do with all the returned dimes. Hope they melt them all as they must have been problem coins. Love your comments. Keep up the good work. I hope they melt them too, all 8,701 gold dimes left unsold. The Mint basically stated to the press that due to the small size & nature of pure 24K gold they couldn’t get full bands! That is crazy since computer sculpting can do anything. I don’t think they even tried. I too hope the gold quarter has a full head design.